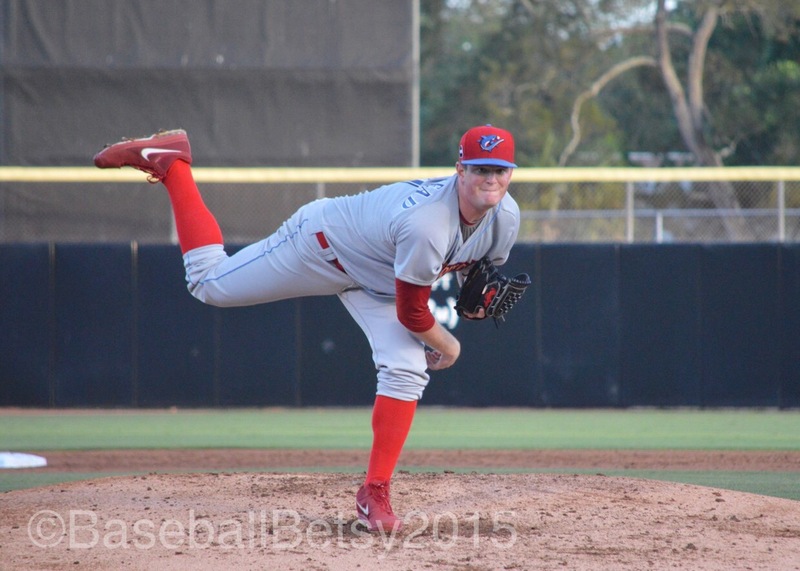 We are three weeks into the minor league season and the Phillies’ Pharm teams are shaping up. In some respects, it’s what one would expect, in others, a bit of a surprise. The most pleasant surprise is the Reading Fightins. Reading is 10-7 and are in second place, only a game and a half behind the New Britain Rock Cats. The biggest disappointment has been the Lehigh Valley IronPigs who have the worst record in ALL of of the International League at 5-14. In-between, are the Clearwater Threshers who are a game and half out of first in the Florida State League Northern Division, trailing the Daytona Tortugas. Their 10-9 record is a great improvement over last year at this time where they were 3-16! The Lakewood BlueClaws are 8-10, two games under .500 in the Northern Division of the South Atlantic League. As expected they have been lead by outstanding starting pitching. Lead by newcomer Zach Eflin, who has yet to give up an earned run in his first three starts. He is 2-0, in his first three starts. Also, going 2-0 is prospect Jesse Biddle. 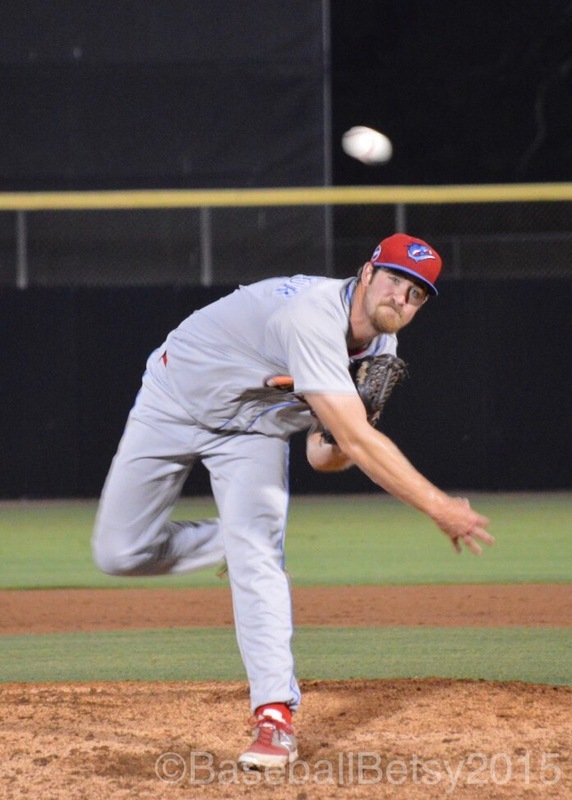 Biddle, who is coming off of a very challenging 2014 season, has an impressive 2.76 ERA and averages a strike out an inning. Ben Lively is equally impressive with a 1.42 ERA and 1-0 in his first three starts. Aaron Nola, last years’ number one draft pick from LSU, has gone 1-2 with a 3.06 ERA. Hitting-wise Reading is lead by 1B Brock Stassi, with a .357 batting average, 3 home runs and 19 RBIs. Phenom Roman Quinn, is off to a strong start, hitting .348, 4 doubles, 2 triples, 2 home runs. He is currently 3rd in steals with 8 steals and leads the league with runs scored with 18. The one disappointing event was the injury to former Golden Glove winner, 2B Carlos Alonso, who was injured by a Harrisburg Senator’s “take out slide” and is currently sidelined with a knee injury. He is currently on the 7-day disabled list. Packed with veteran free agents that were released by other organizations, Lehigh Valley is off to a difficult start. The highpoint of the offense is the play of Maikel Franco, who is hitting .338 and leads the International league in doubles with 10 so far this season, while playing outstanding defense at third base.Conversely, rehabbing MLBer, Domonic Brown continuing to struggle, hitting only .139 in nine games for the IronPigs. On the mound, the highlight is Severino Gonzalez, with a .357 ERA which earned him his first MLB start with the Phillies. The biggest surprise on the mound, however, is Phillippe Aumont. Aumont, who was dropped from the 40-man roster this spring, is 1-0 with 1.06 ERA in 17 innings. Even more surprising, he was moved from the bullpen to starter and is proving to be much more successful as a starter. The Threshers are the team that never seems to say die. Last year, was one of the most difficult years I have ever witnessed in professional sport. It seemed like they always found a way to LOSE. Even if they managed to push a game into extra innings, they always seemed to come up short. This year, is very different. Four of their ten wins have been in extra innings, including an impressive win at home in SEVENTEEN innings. Offensively, Dylan Cozens (RF) has driven in 13 runs to lead the team in RBIs. The fans in Clearwater have taken to calling him “Clutch” Cozens because he has gone 4-6 with 3 RBIs in extra innings. Leading the team in doubles are Willians Astudillo (3-6 with a walk off in extra innings) and Andrew Pullin with 5 each. 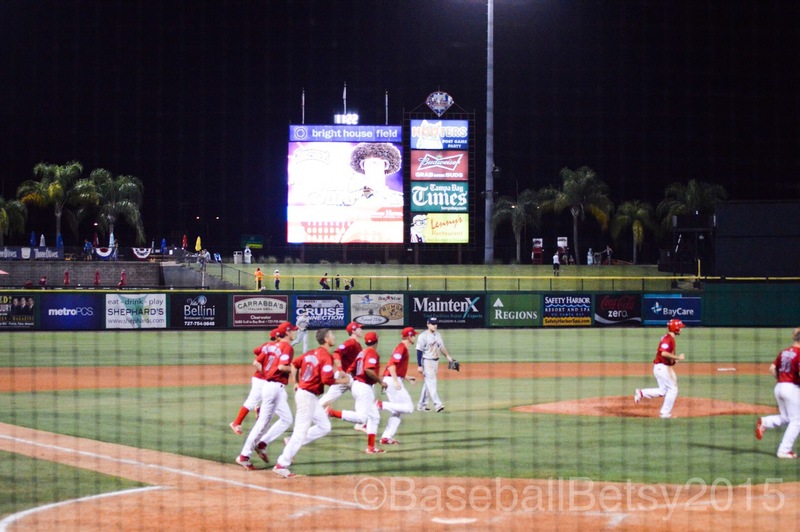 Threshers’ pitching is another great surprise with strong starting and relief pitchers. The tops starters are Brandon Leibrant (1-1, 1.80 ERA in 4 starts) and David Whitehead (1-2, 3.04 ERA in 4 starts). 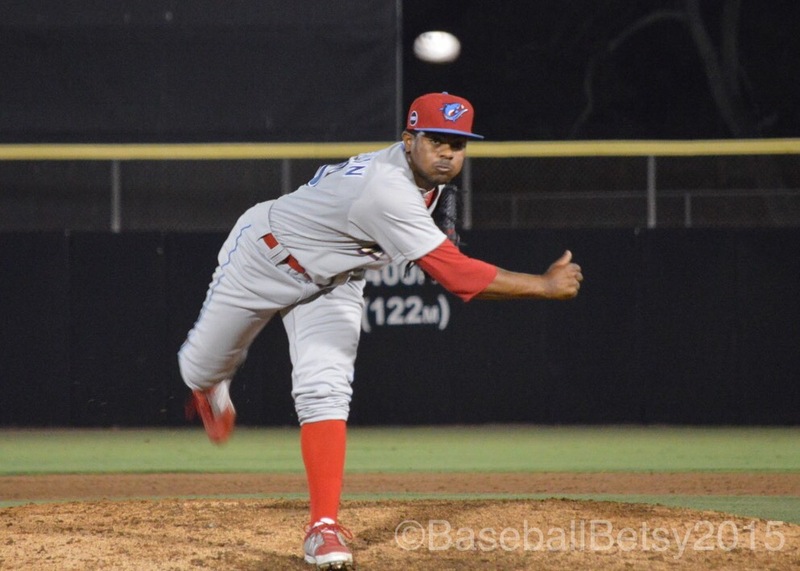 The bullpen has been exceptionally strong, led by Ulises Joaquin 1-0 with three saves, Edubray Ramos 1-1 with 1 save and Mark Leiter, Jr. who is 1-0 with one save and struck out TWENTY in 15 innings out of the pen. The top left handed reliever is Cody Forsythe, 1-0 and has struck out 13 in nine innings of work. While the BlueClaws have been hanging around .500, there have been early flashes of brilliance. After completing what looks to be a successful weight training program in the off season, Carlos Tocci is hitting .338 and leads the team with 11 RBIs. Malquin Canelo is second hitting .333. First basemen Rhys Hoskins has supplied the power with 3 home runs, hitting .290. Regarding pitchers, they are led by Tyler Viza, 3-0 with a 2.45 ERA in his first three starts, all of last season, Viza went 3-17. Ricardo Pinto, 1-0 with a 2.84 ERA, leads the team in strike outs with 18 in 19 innings of pitching. The bullpen is good as well, Matt Hockenberry has picked up three saves and has yet to give up a run in nine innings of work. Left handed reliever Austin Davis has yet to give up a run in ten innings of relief as the “set-up” man. Last night, we had a triple play, (Walding to Stankiewicz to Green) today a sharp double play (Lohman to Stankiewicz to Green). This team really has some spirit, when things have gotten tough, they seem to dig deep and push through, something last year’s team could not do. 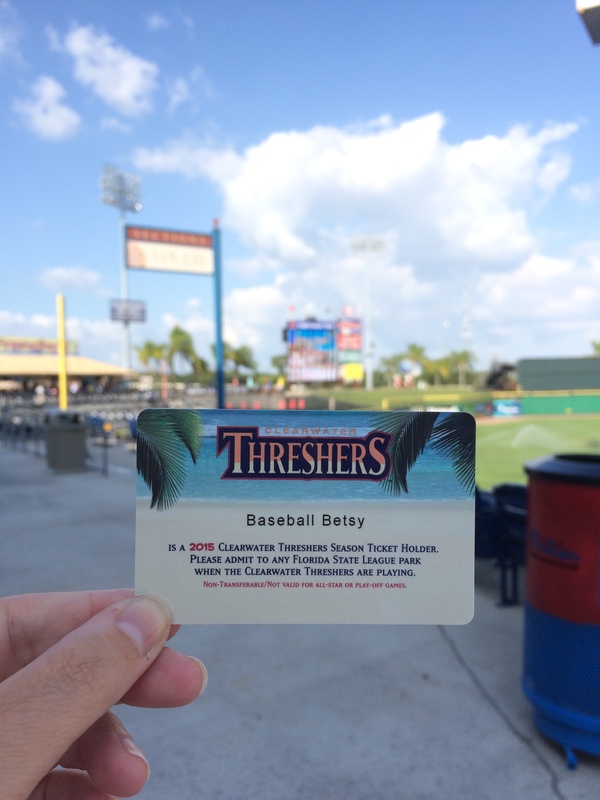 Last year the Threshers ended the season 40 games under .500. Tonight, David Whitehead started on the mound. He would go on 6IP, 4H, 0R, 1W 8Ks. He looked really sharp as he collected the win. 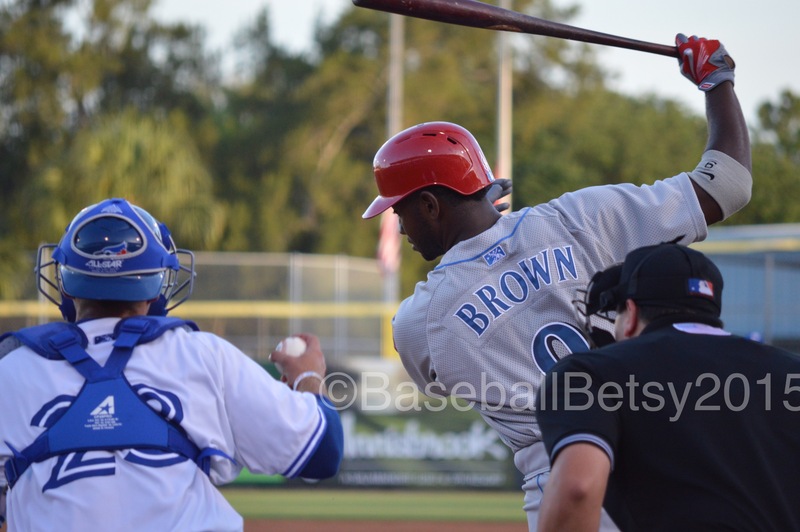 Also of note, Domonic Brown made his second rehab appearance. First at bat, he flies out and he struck out during the second. The first scoring play came when Mitch Walding was caught in a rundown. Drew Stankiewicz hit a screamer right at the pitcher, who lost his glove trying to field the ball. He threw the ball home, cutting off Walding. The catcher threw the ball to third and Walding started for home…the pitcher, now without his glove failed to cover home, so Walding was able to score as the Jays tied unsuccessfully to get the out at second. Lee “Rocket Arm” came in in relief of Whitehead. Ridenhour went 2IP, 0H, 0R, 0W and 2Ks to hold the game. He hit 93 on the gun and struck out both on his curve. Ulises Joaquin came in to close. He struggled a little, but buckeled down to secure the win. With the win, the Threshers move to .500. It was a news-filled day with the additions of Koyie Hill to the coaching staff and Brodie Green to the roster. The annual Season Ticket Holders’ Party was held tonight at Brighthouse Field. It was the best weather we have had in a week as the heat has seemed to abate a bit. I now have official ID! I was happily surprised to find that my ID has been issued in my nom de plume! I’ve had a name plate on my seat for two years, but I had to specially request it…so I was really happy to get this card! You can watch the video of the introductions HERE–and I really recommend you do as this years’ team has a lot of personality. They were a lot of fun to watch. Koyie Hill is a surprise. He isn’t given any specific coaching duty, just a member of the coaching “staff”. I really have a good feeling about this year’s team. I know quite a few of these guys and have a lot of faith in their talents. I think we will be very competitive this year and I am excited for the season to start!